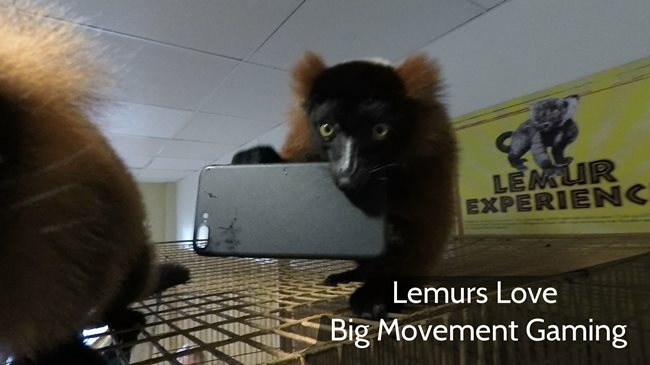 We had so much fun showing Big Movement Gaming to lemurs that we had to do it again! Lemurs are neither apes nor monkeys; they are a different kind of primate. They have no claws, so their tiny baby-sized hands are so soft as they climb all over you. Apparently, they also like to mark their territory, as I found out! But they also love augmented reality gaming. 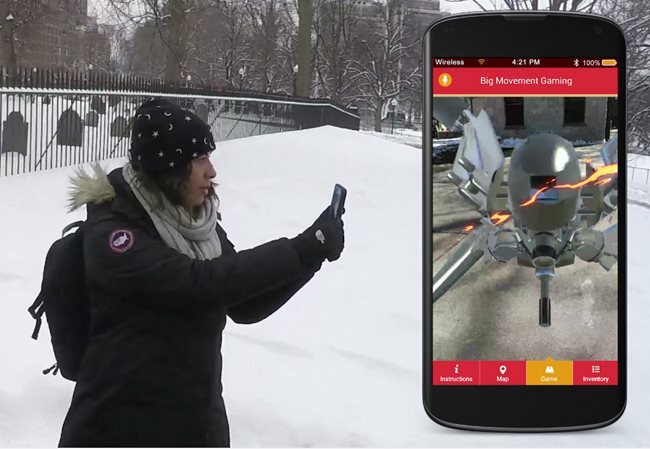 We showed them Big Movement Gaming, our forthcoming AR game, where you walk around your neighborhood exploring, seeing creatures through your phone, and meeting other players and making friends!